In 2002, the Cancer Coalition of South Georgia opened its doors to serve a 32-county area bringing cancer screening and patient navigation assistance, community-based research, education and outreach, and cancer patient assistance. In 2016 the organization expanded its mission to address some of the underlying causes of health disparities. While Horizon continues with its cancer control efforts, we also now offer programs to reduce obesity and diabetes, to increase access to safe, affordable housing, to increase access to healthcare, and other priorities that affect the health status of local communities. 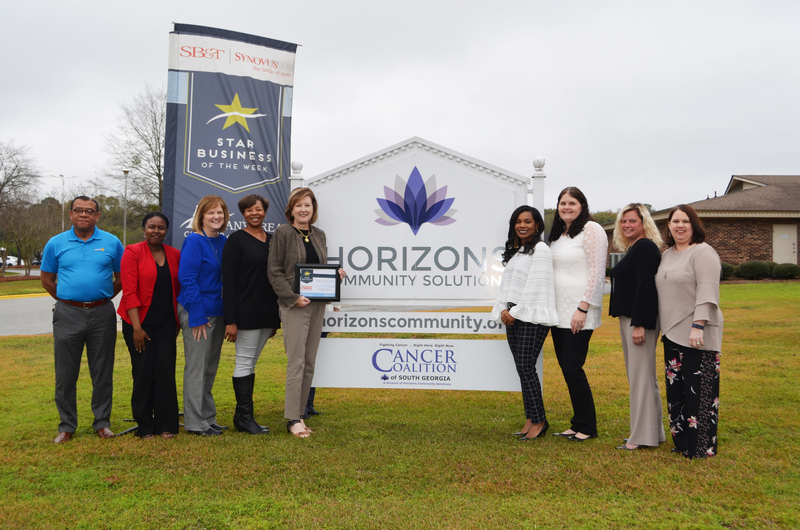 To better reflect its new mission, the Cancer Coalition changed its name to Horizons Community Solutions. We are still fighting cancer – only now doing so much more. Visit horizonscommunity.org to learn more about Horizons Community Solutions. This entry was posted in Star Business of the Week on March 19, 2018 by Mandy Kavanaugh.